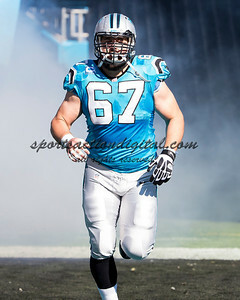 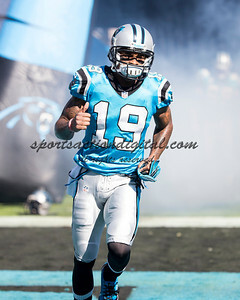 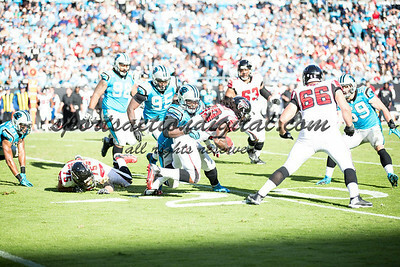 The Carolina Panthers defeated the Atlanta Falcons 34-10 in an inter-division rivalry played in Charlotte, NC at Bank of America Stadium. 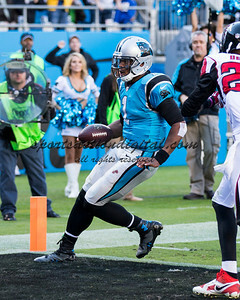 Carolina Panthers quarterback Cam Newton (1) runs for a touchdown. 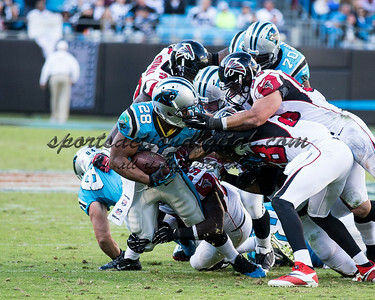 The Carolina Panthers defeated the Atlanta Falcons 34-10 in an inter-division rivalry played in Charlotte, NC at Bank of America Stadium. 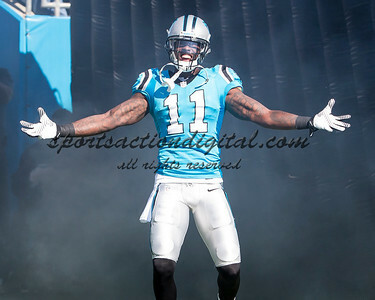 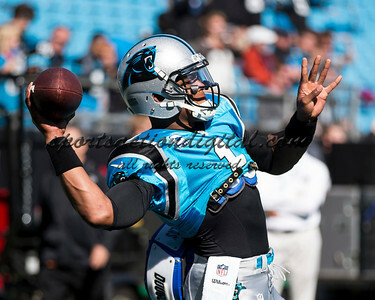 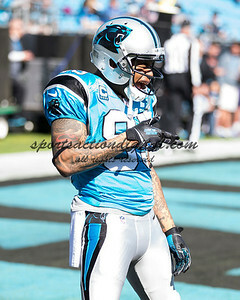 Carolina Panthers quarterback Cam Newton (1) calls signals. 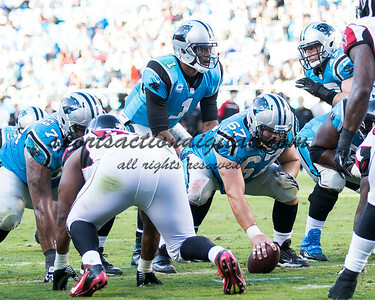 The Carolina Panthers defeated the Atlanta Falcons 34-10 in an inter-division rivalry played in Charlotte, NC at Bank of America Stadium. 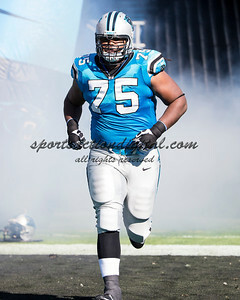 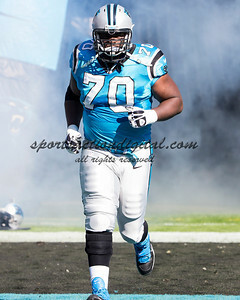 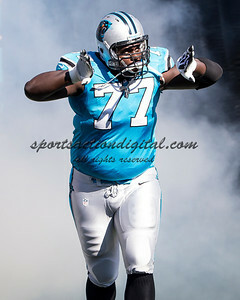 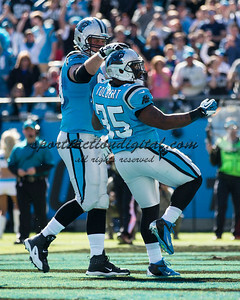 Carolina Panthers fullback Mike Tolbert (35) celebrates a touchdown run. 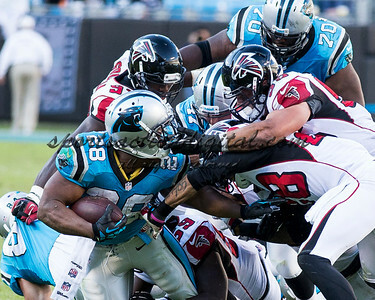 The Carolina Panthers defeated the Atlanta Falcons 34-10 in an inter-division rivalry played in Charlotte, NC at Bank of America Stadium. 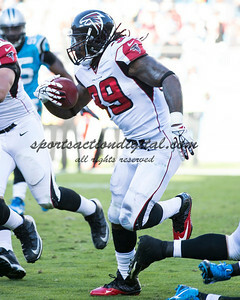 Atlanta Falcons running back Steven Jackson (39) runs for a touchdown. 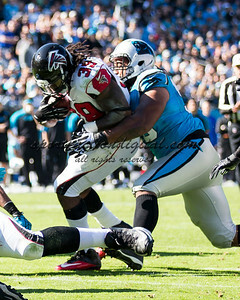 The Carolina Panthers defeated the Atlanta Falcons 34-10 in an inter-division rivalry played in Charlotte, NC at Bank of America Stadium. 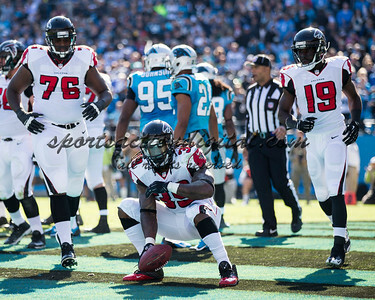 Atlanta Falcons running back Steven Jackson (39) celebrates after a touchdown run. 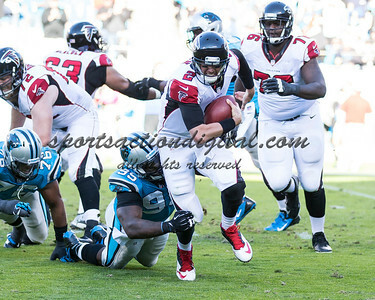 The Carolina Panthers defeated the Atlanta Falcons 34-10 in an inter-division rivalry played in Charlotte, NC at Bank of America Stadium. 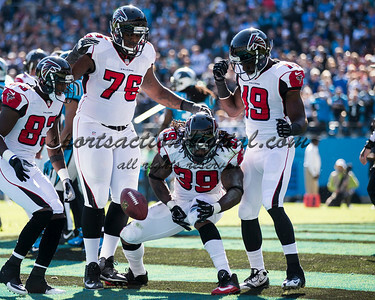 Atlanta Falcons running back Steven Jackson (39) celebrates with his teammates after a touchdown run. 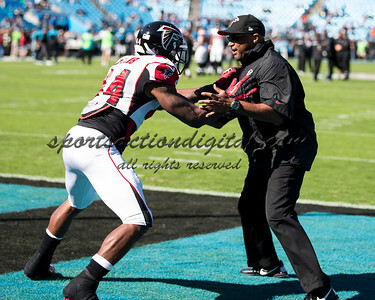 An Atlanta coach talks to his linemen. 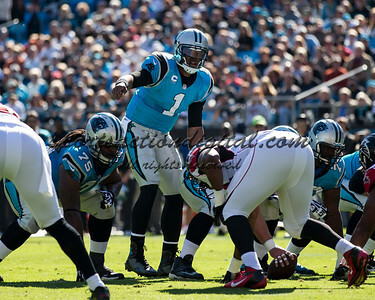 The Carolina Panthers defeated the Atlanta Falcons 34-10 in an inter-division rivalry played in Charlotte, NC at Bank of America Stadium. 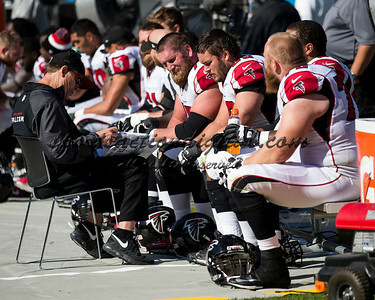 An Atlanta coach talks to his linemen. 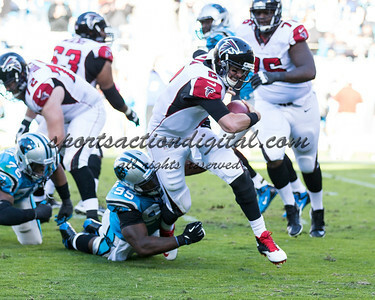 The Carolina Panthers defeated the Atlanta Falcons 34-10 in an inter-division rivalry played in Charlotte, NC at Bank of America Stadium. 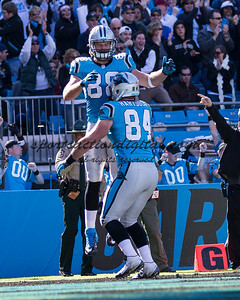 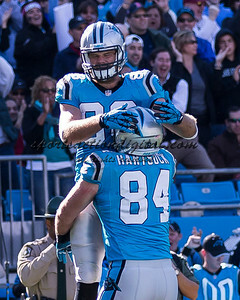 Carolina Panthers tight end Greg Olsen (88) celebrates with Carolina Panthers tight end Ben Hartsock (84) after a touchdown catch. 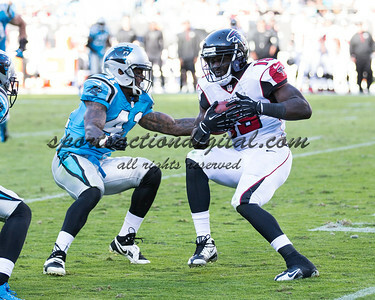 The Carolina Panthers defeated the Atlanta Falcons 34-10 in an inter-division rivalry played in Charlotte, NC at Bank of America Stadium. 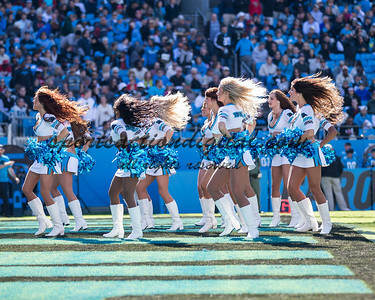 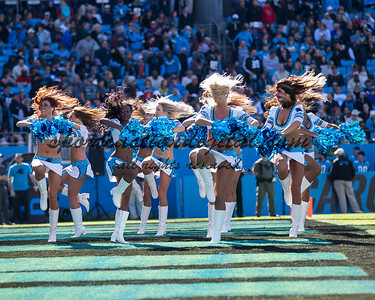 Carolina Panthers cheerleaders. 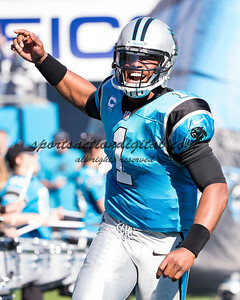 The Carolina Panthers defeated the Atlanta Falcons 34-10 in an inter-division rivalry played in Charlotte, NC at Bank of America Stadium. 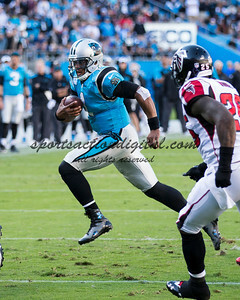 Carolina Panthers quarterback Cam Newton (1) runs with the ball. 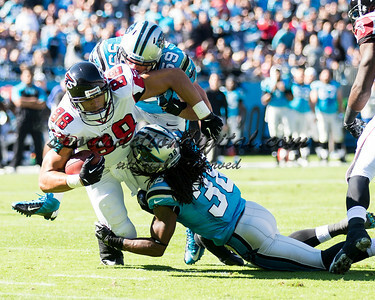 The Carolina Panthers defeated the Atlanta Falcons 34-10 in an inter-division rivalry played in Charlotte, NC at Bank of America Stadium. 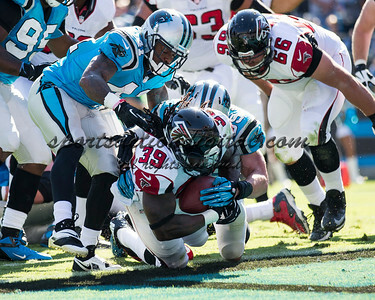 Atlanta Falcons running back Steven Jackson (39). 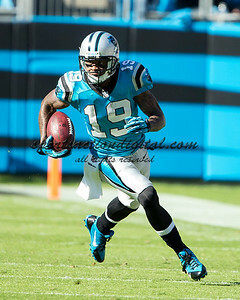 The Carolina Panthers defeated the Atlanta Falcons 34-10 in an inter-division rivalry played in Charlotte, NC at Bank of America Stadium. 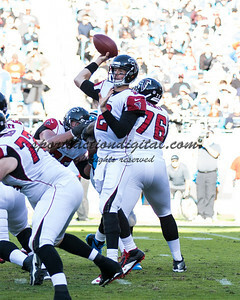 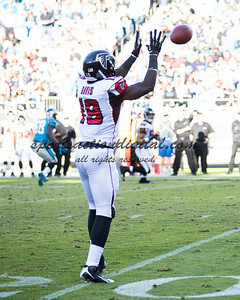 Atlanta Falcons wide receiver Drew Davis (19) catches a pass from Atlanta Falcons quarterback Matt Ryan (2). 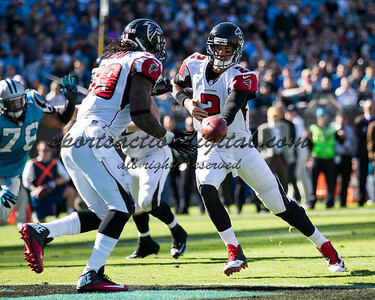 The Carolina Panthers defeated the Atlanta Falcons 34-10 in an inter-division rivalry played in Charlotte, NC at Bank of America Stadium. 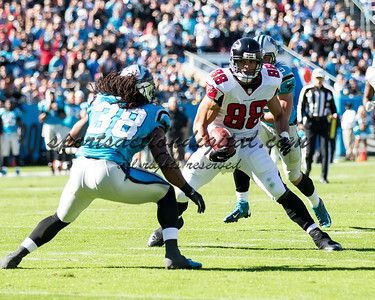 Atlanta Falcons wide receiver Drew Davis (19) runs after a reception. 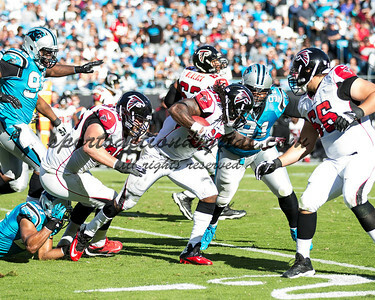 The Carolina Panthers defeated the Atlanta Falcons 34-10 in an inter-division rivalry played in Charlotte, NC at Bank of America Stadium. 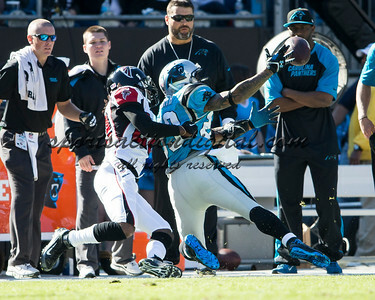 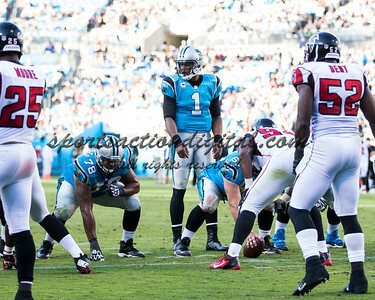 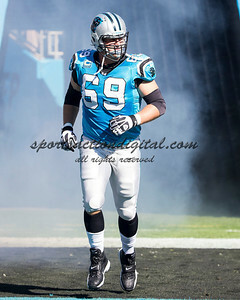 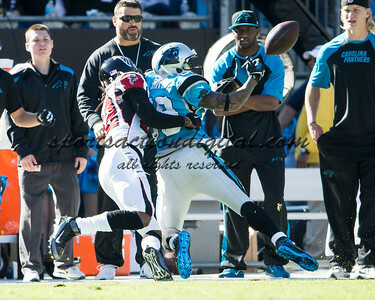 Carolina Panthers quarterback Cam Newton (1) calls a play.